There is something genuinely fun about making your own bath and beauty products! 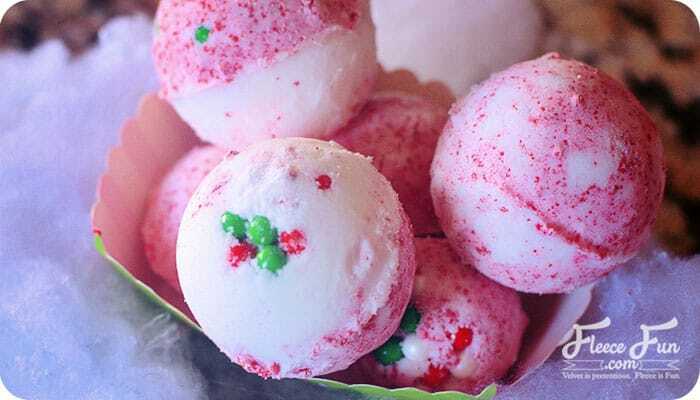 What I love about bath bombs is that they are fast to make and you can make a batch for several people easily. 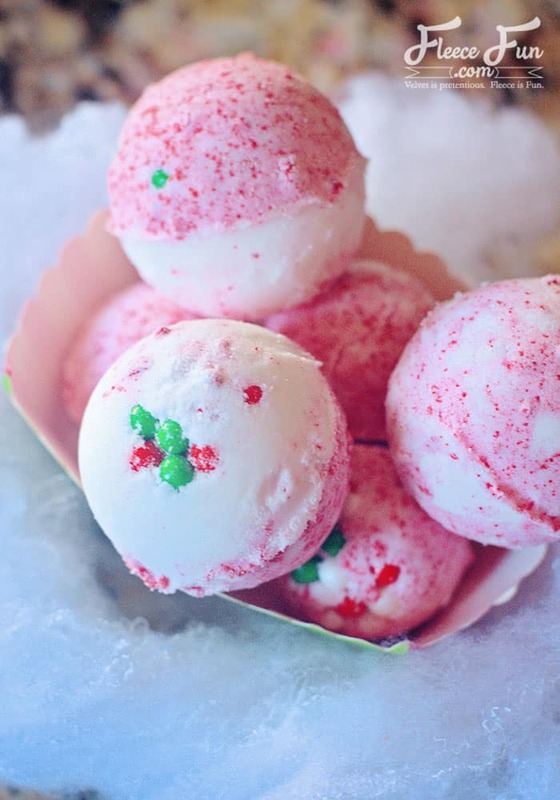 You can learn how to make holiday bath bombs for your friends and neighbors! Just follow this simple tutorial. The best part is that you can switch up the look and smell of the bath bombs to fit the giver. If the person you like prefers things spicy – scent it with ginger and give the bombs a a light brown color. 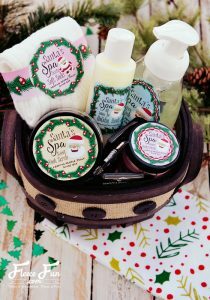 This is part of the “Santa’s Spa” set. Make lotion, foot scrub and foaming soap with cute printable labels to go with your bath bombs. 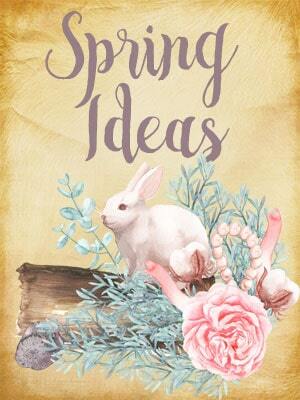 Check out all those tutorials here. In a bowl, add in corn starch, citric acid, and baking soda stir well. Add in coconut oil (or other oils) and stir with a fork to keep light and fluffy. Put half in one bowl and half in another. Add in fragrance to both bowls and coloring to one bowl. Stir well. Using the mold add a few sprinkles with some from each bowl and pack it into both sides of mold then press together. Once you press together leave in mold for about a minute then remove and place on a tray to dry (harden) overnight. Mom tip: Make your kiddos form an assembly line to make the process go faster and get them involved! I love it when I get neighbor gifts that aren’t food. With so many food allergies – these are a great alternative. Please note that it does contain coconut oil and someone with tree nut allergies can have a reaction – so always try to label what is in your handmade bath and beauty products for safety. Olive oil is a good alternative to the coconut. 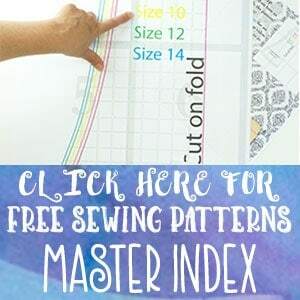 I hope you’re enjoying Fleece Fun’s Handmade Saturday Series – be sure to check back every Saturday from now until Thanksgiving for a new handmade gift idea!